ONE: Cut 18.6 oz. of Goat Milk Melt and Pour Base into small, even pieces. Put 6.2 oz. 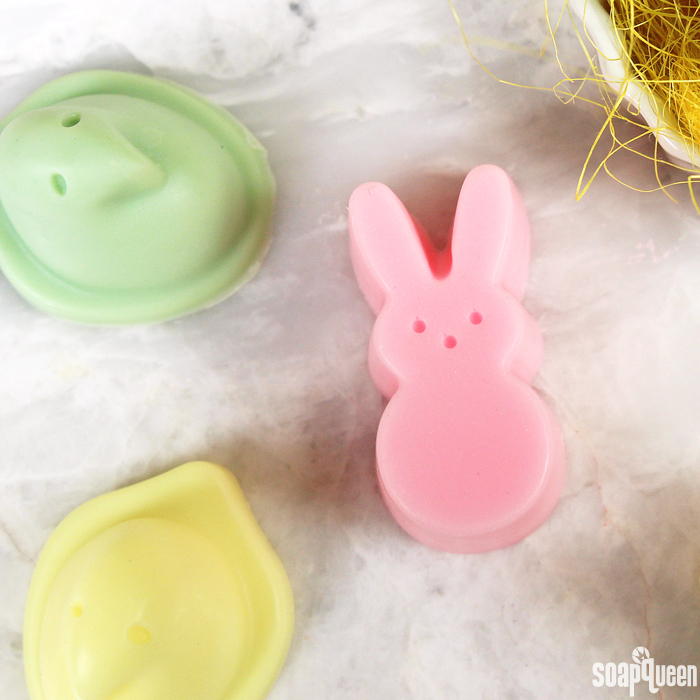 of soap in three separate heat-safe containers. 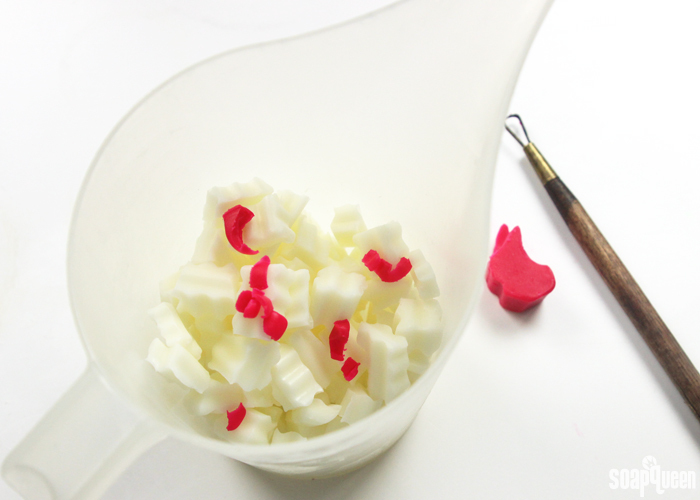 In one container, add shavings of the Electric Bubble Gum Color Block for a soft pink color. Melt the container on 10 second bursts. Using short bursts prevents the soap from scorching. Read more about burnt melt and pour and how to prevent it here. TWO: Add 5 mL of Green Fig Fragrance Oil and stir to fully incorporate. 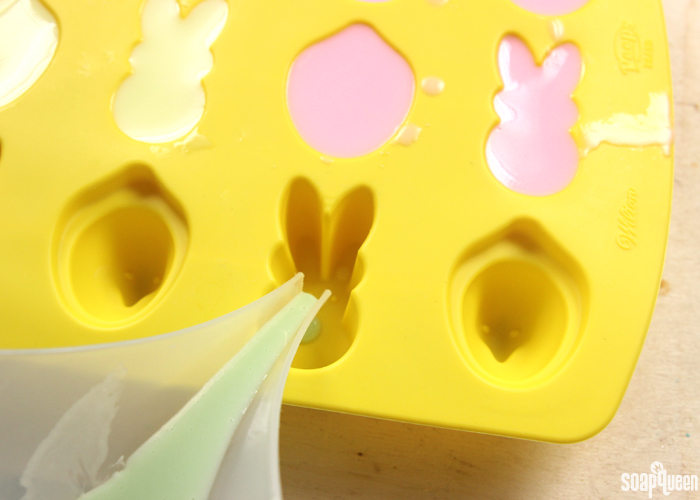 Pour the soap into 4 of the mold cavities and spritz with alcohol to pop any air bubbles. THREE: In the second container, add shavings of the Fizzy Lemonade Color Block for a soft yellow color. Melt in the microwave on 10 second bursts. 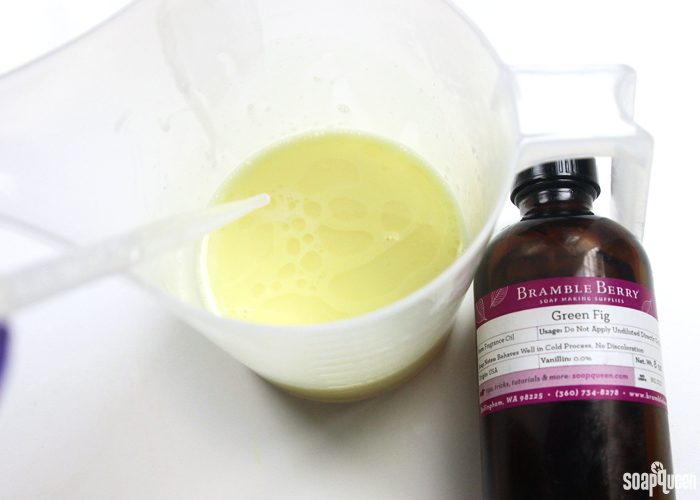 Add 5 mL of Green Fig Fragrance Oil and stir to fully incorporate. 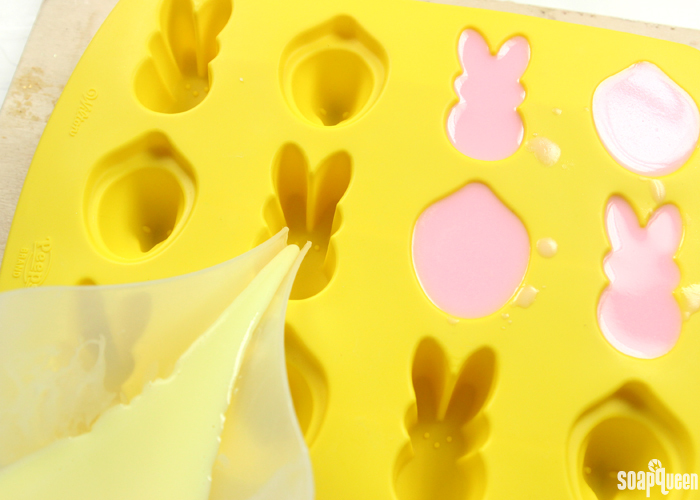 Pour into 4 cavities of the mold and spritz with alcohol. FOUR: In the last container, add shavings of the Chrome Green Color Block for a soft green color. 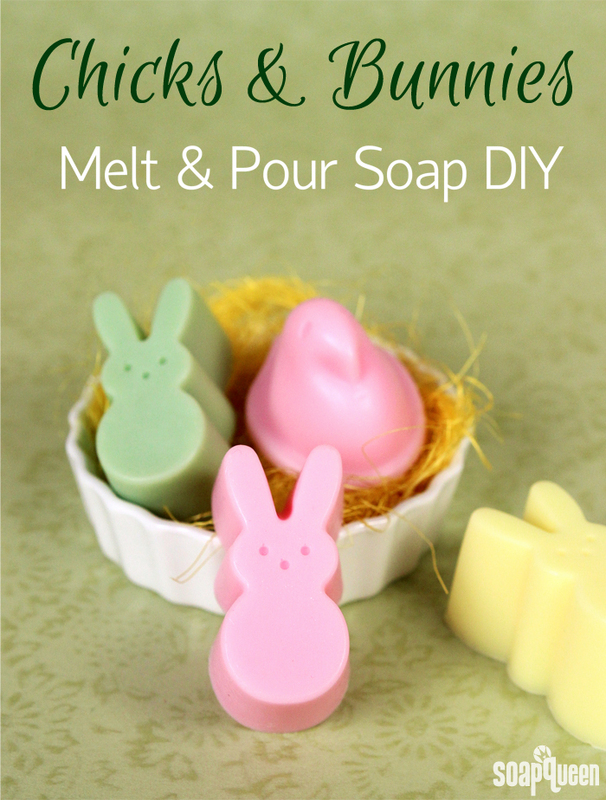 Melt the soap on 10 second bursts. Add 5 mL of Green Fig Fragrance Oil and stir well. Pour the soap into the last four cavities and spritz with alcohol. 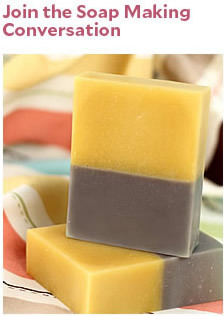 Allow the soap to fully cool and harden, which takes about 2-3 hours. 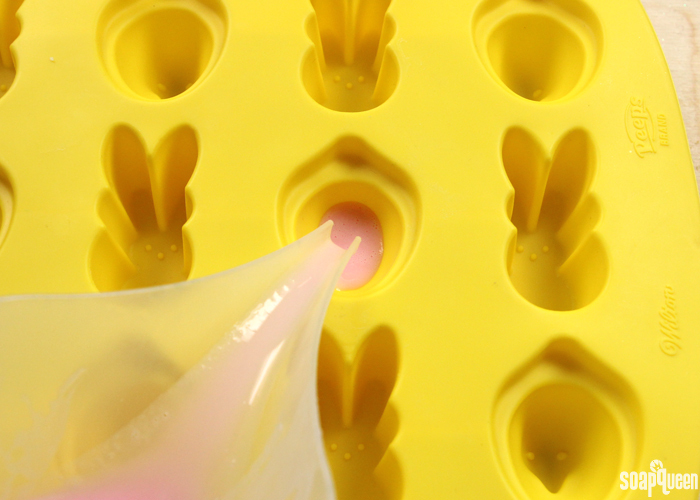 To remove the soap, flip the mold over and press gently on the back of each cavity. 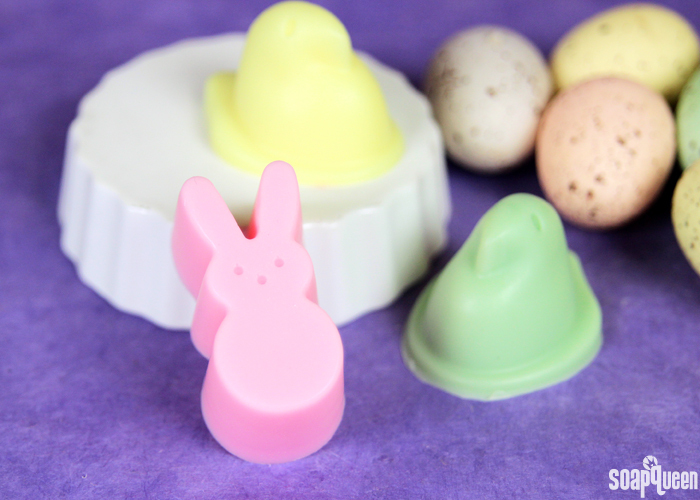 Enjoy right away, or wrap the soap tightly in plastic wrap to prevent glycerin dew. 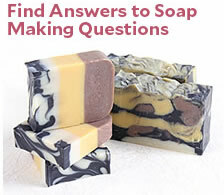 Read more about how to store melt and pour soap here.